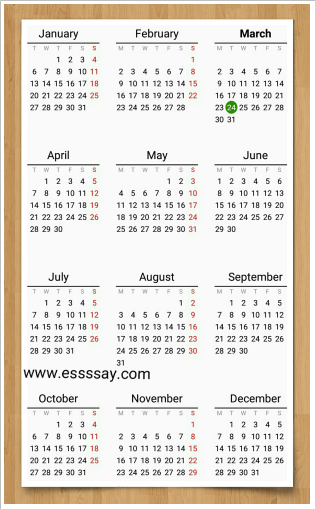 The concept of the calender originated from solar year. The earth completes its orbit about the sun in 365 days 5 hr 48 min 46 sec.This is called solar year. If any year is divisible by 4 then the year is called a leap year. For example: 2008, 2012, 2016 etc are the leap years. 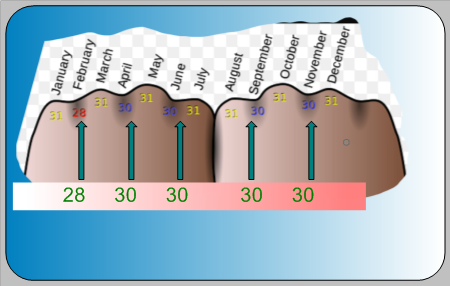 To determine the number of days of any mount we count on our hand's back as shown in second diagram.